If you have freight to ship within the State of Florida, to Florida, or from Florida, then get a free online freight quote instantly and without obligation. Just request an instant online quote for a full truckload, less than a truckload or international shipment. Freight Rate Central’s trucking logistics system is cutting edge, and we offer a full range of trucks and other options, including shipping by air. Florida is well served by both Interstates and state highways. I-75 enters Florida in the north center of the state, then veers to the west coast at Tampa and Saint Petersburgh. It runs parallel to the coast for a while, then becomes a toll road as it crosses over to Fort Lauderdale and Miami to the east. In the north of the state, I-10 runs east to west, and I-4 bisects the state, passing through Orlando. I-95 follows the east coast from top to bottom. Florida imports approximately $6.5 billion and exports $5.5 billion’s worth of goods annually. Major exports include citrus fruit and other produce; of course, Florida is well known for its oranges. There’s an active aerospace industry, as well. Presently, there is a greater demand for freight into Florida than out of Florida, and you may find that the rates for Florida trucking reflect that discrepancy. Florida brings in 40 percent of US imports from South America and Latin America and ships them to other parts of the US, mostly by truck. Florida ships its oranges and other produce throughout the US, however, one of the busiest routes is cross-country from Miami, Florida to Los Angeles, California. Florida also ships freight diagonally across the country to distant Washington State. Florida’s aerospace industry is linked to Texas, Arizona and California, and the industrial midwestern states are also popular origins and destinations for Florida freight and trucking, with frequent shipments running between Illinois and Florida, and Michigan and Florida. Florida freight can be transported from half an hour before sunrise until half an hour after sunset. Florida requires freight operators to purchase permits before entering the state; if they are purchased at the first weigh station, fees may be levied. 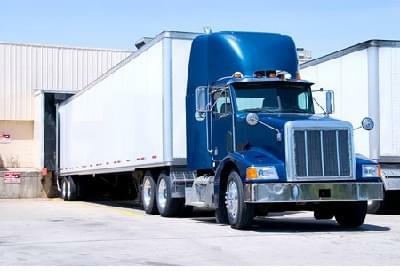 In Florida, trucks from 12’-0” to 14’-0” wide and/or over 14’-6” high require a pilot car. Florida trucks over 14’-0” wide and/or over 15’-0” high require two pilot cars, one in front and one behind. Only one pilot car is required for trucks under 95’-0” long. Truck weight: up to 122,000 pounds with six axles. See FDOT’s International Registration Plan Trucking Manual for details. You can apply for Florida trucking permits by phone on the Florida Department of Transportation website.